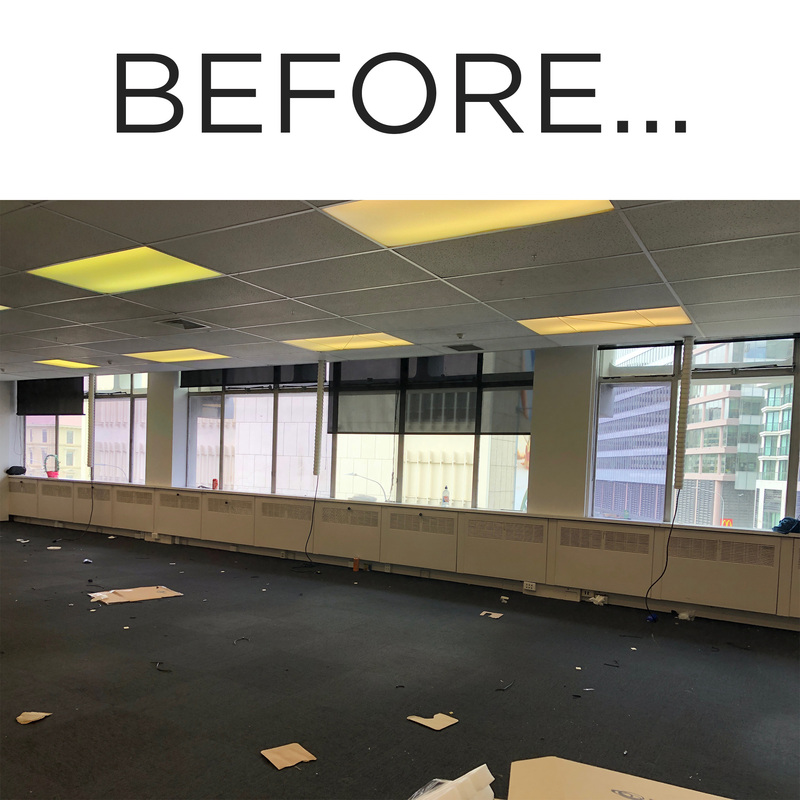 Step one in an office space transformation where the Design Driver is ‘Happy’ and the space my client was taking over was anything but. With Accuro’s move-in date imminent, the question was what (on earth) can we do with paint that injects some joy and uses their brand’s colour blends?… 96 radiators, 14 Dulux colours. And a smart charcoal sill. The team at New Zealand’s Best Little Health Insurer are a genuine, lovely bunch and I really wanted to give them something fun to welcome them into their new workspace. We will be implementing more sweet design features over time so watch this space.